Lori dolls love spending time at the Horse Haven Barn grooming their 4 legged friends. 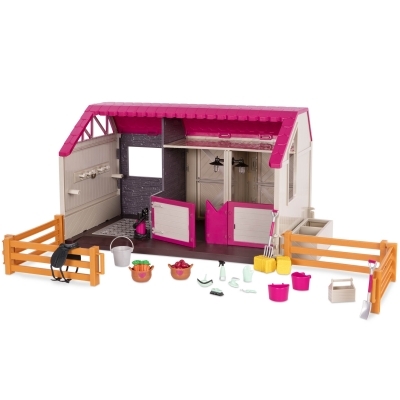 This barn features working lights, a real water pump and 23 accessories! Dolls and horses sold separately. This is so much fun. I love this. My granddaughters would go wild. Sooo cute! I love all of the little details from the lights to the water pump! Love this cute play set. The working lights and shower are adorable, along with the 6" horses.